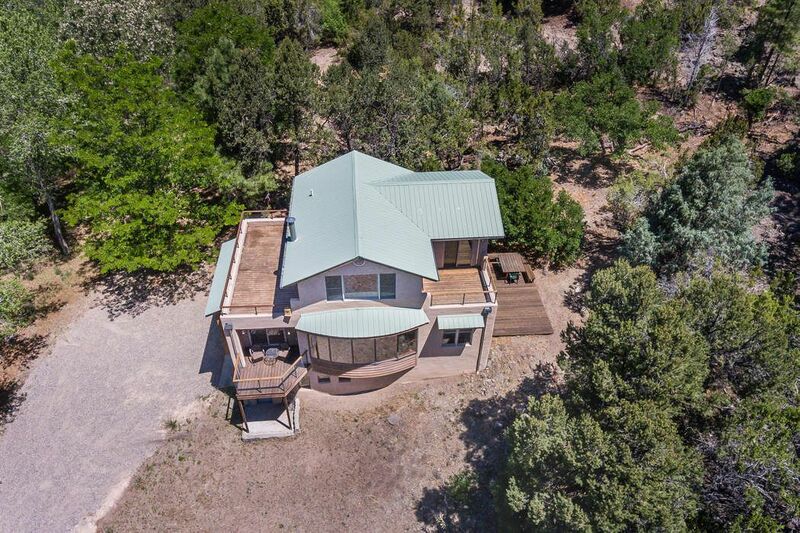 595a Cr 194, Canones, NM 87516 | Sotheby's International Realty, Inc.
$535,000 3 Bedrooms2 Full Baths1,600 sq. 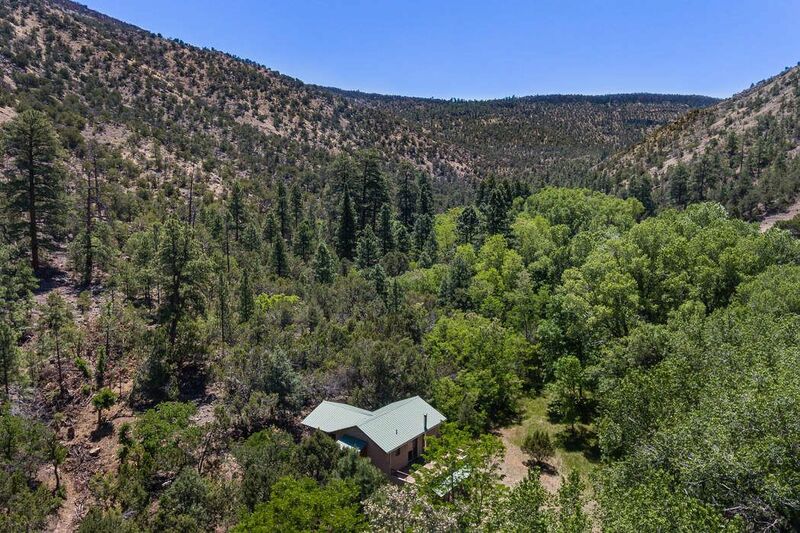 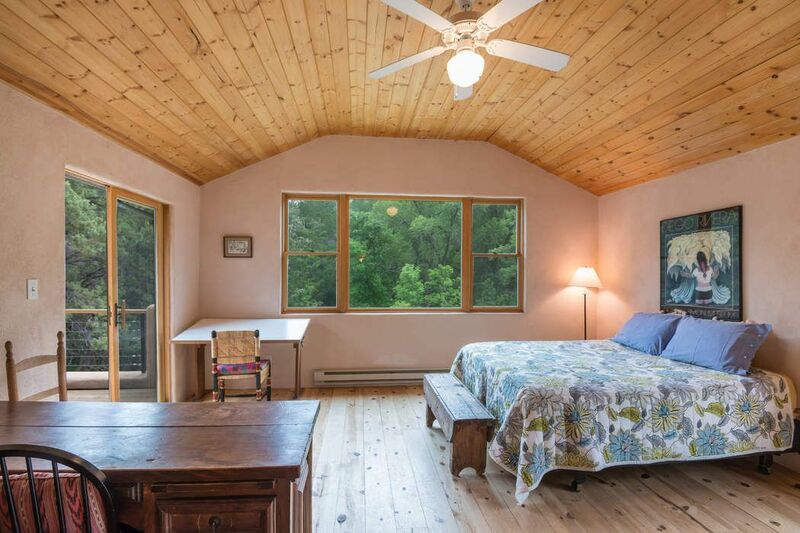 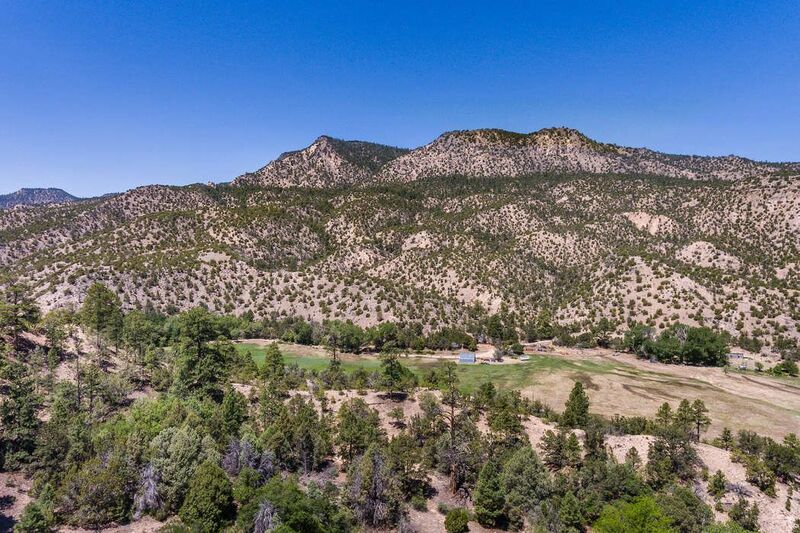 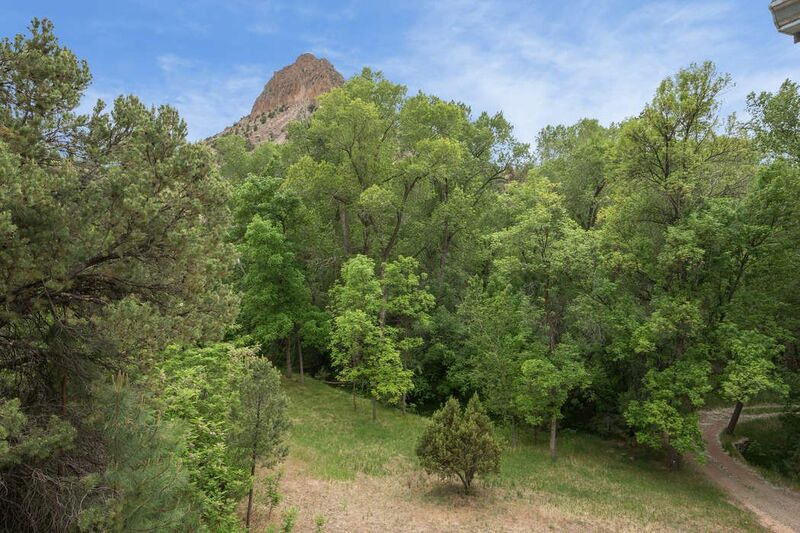 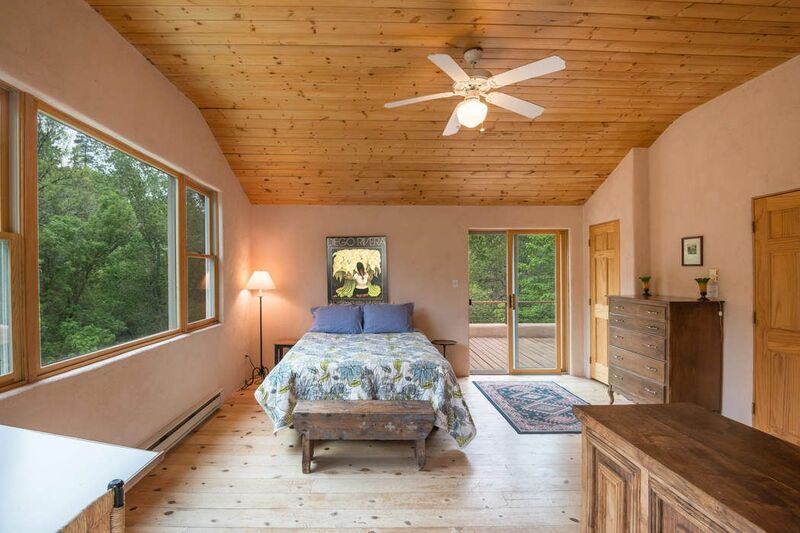 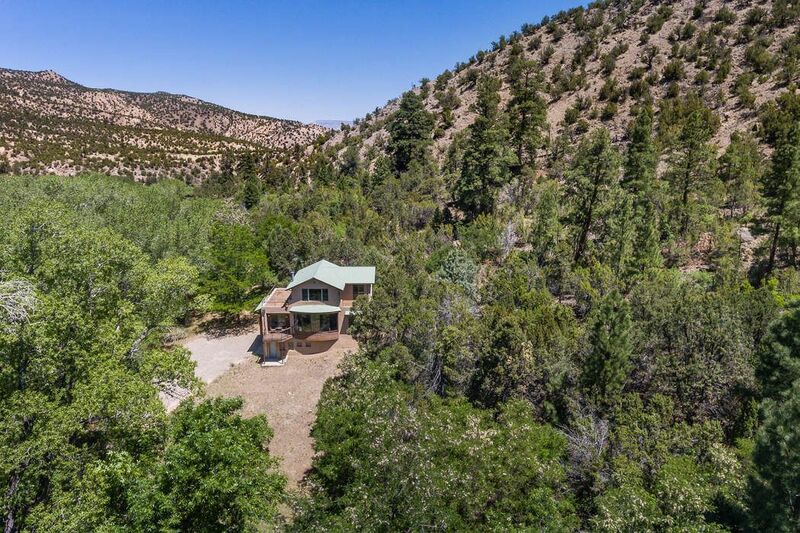 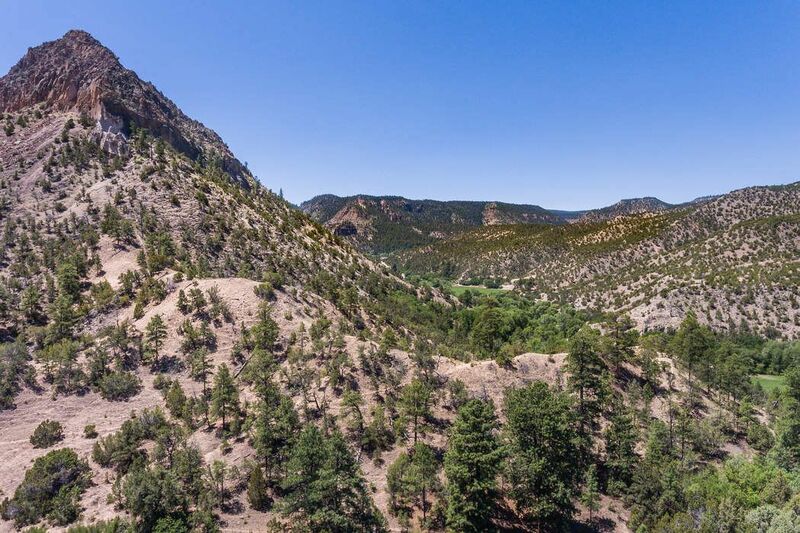 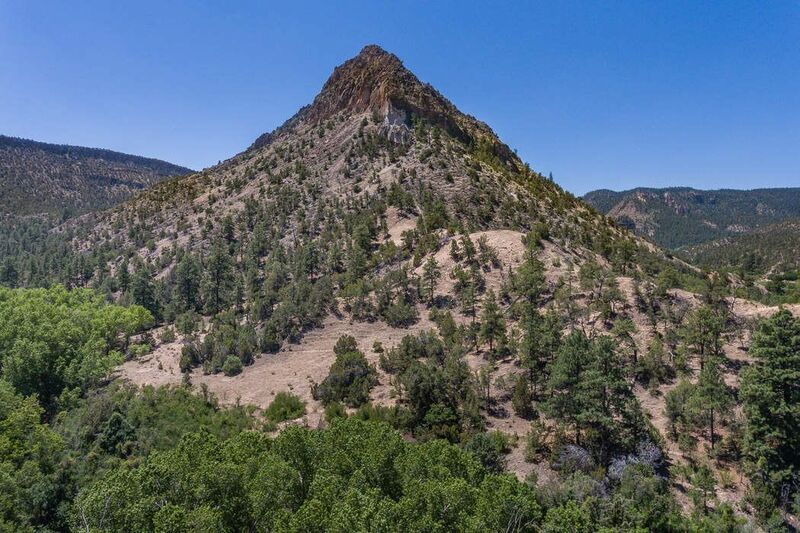 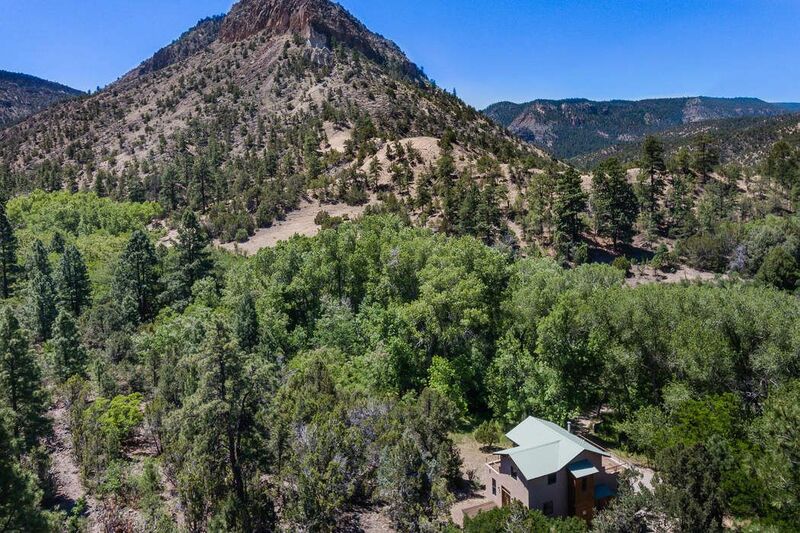 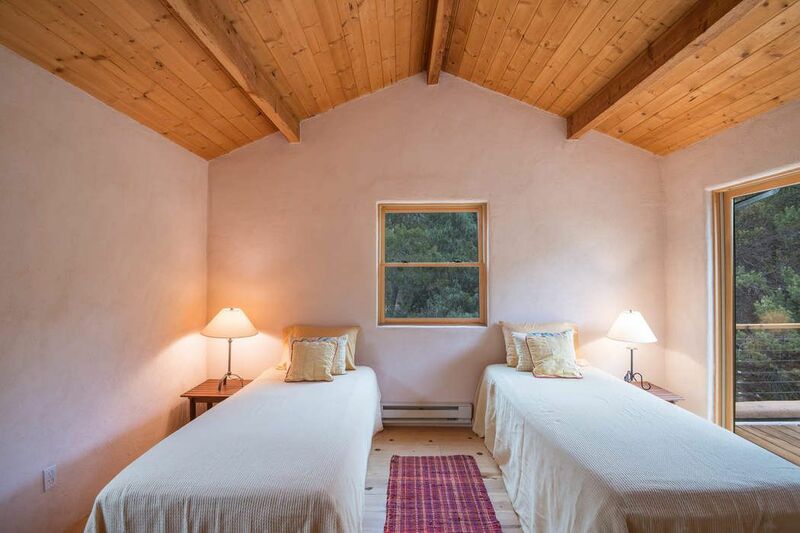 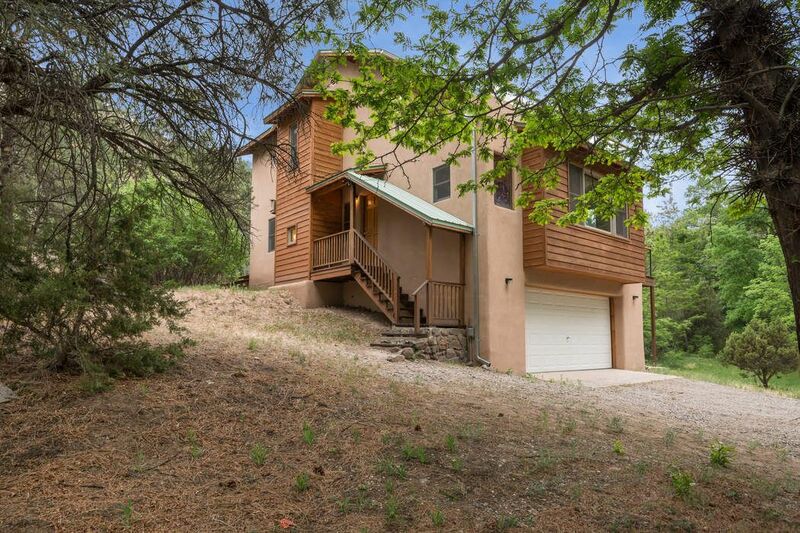 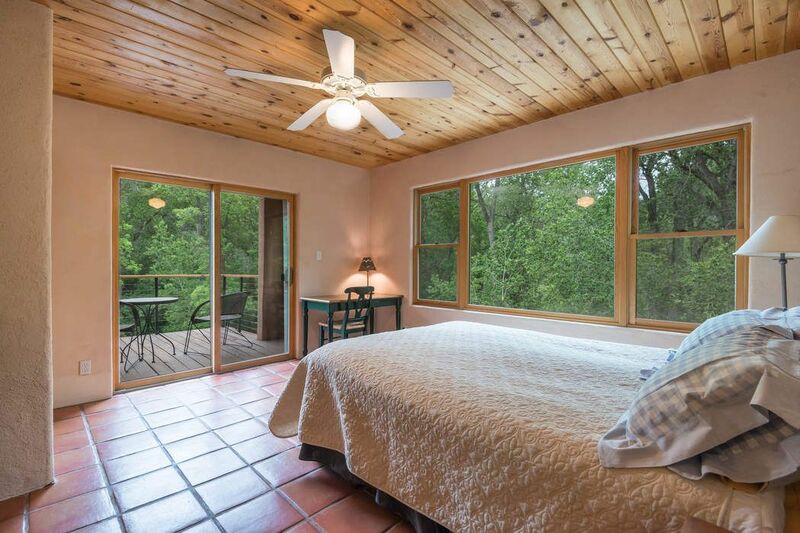 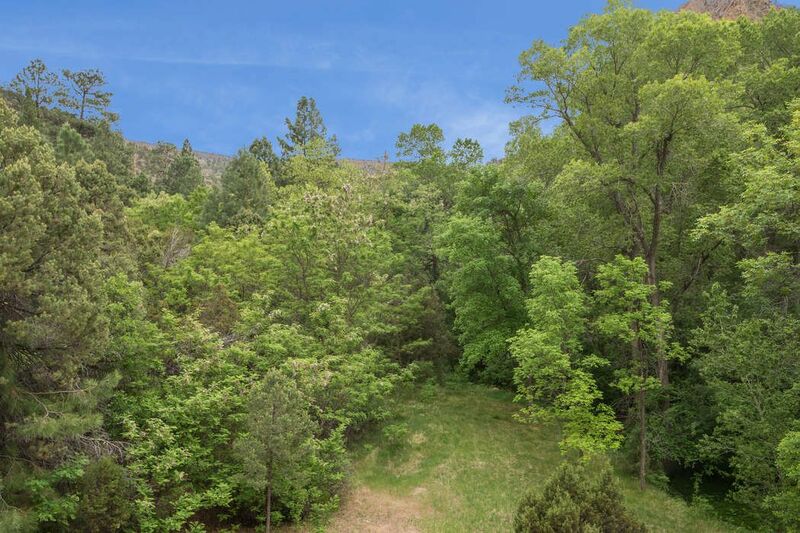 ft.
Wrap yourself in the arms of nature in this idyllic, lush and very private retreat located at the mouth of a canyon leading up through Carson National Forest to the Jemez Mountains Caldera. 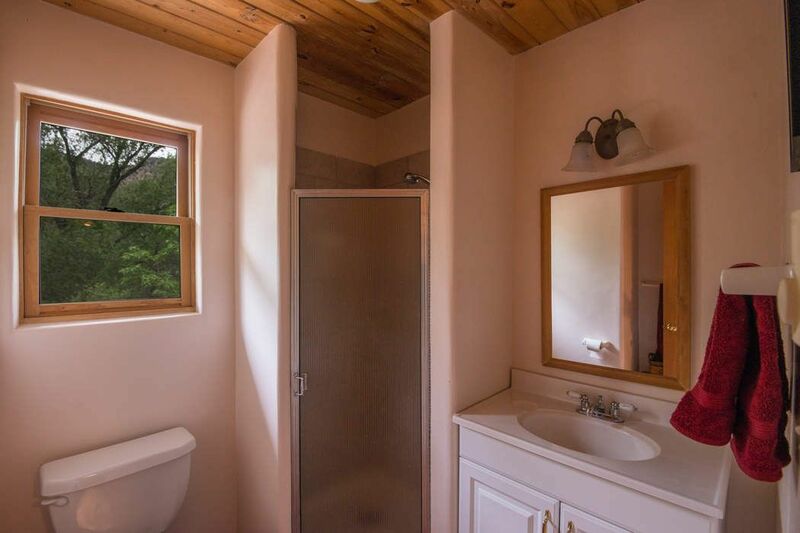 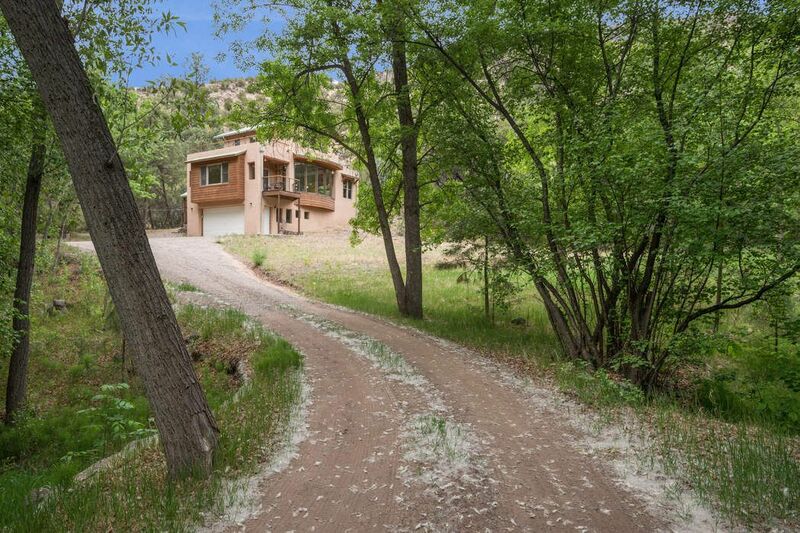 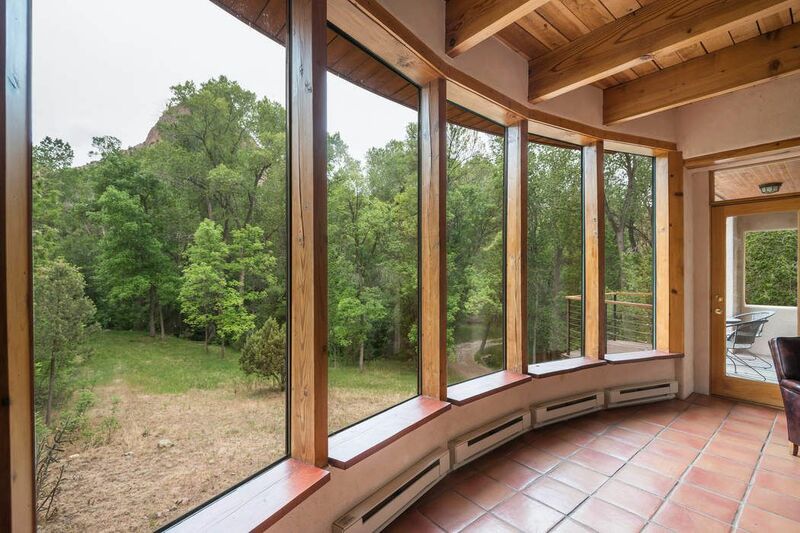 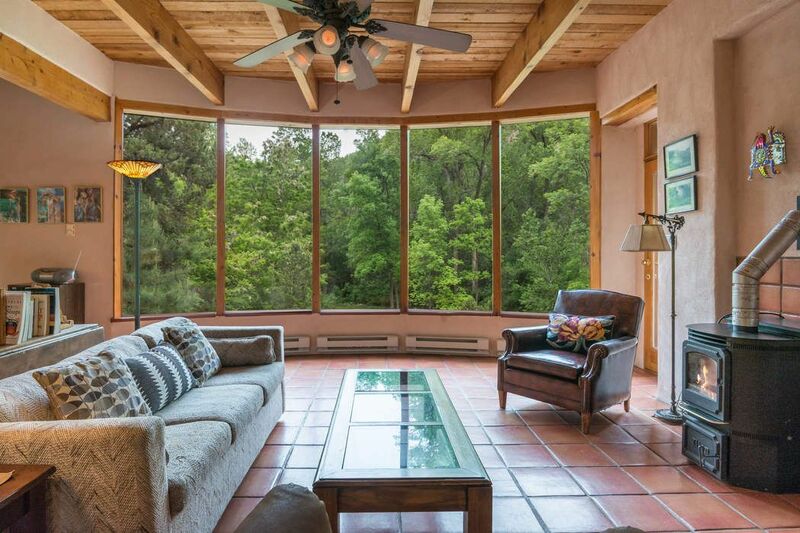 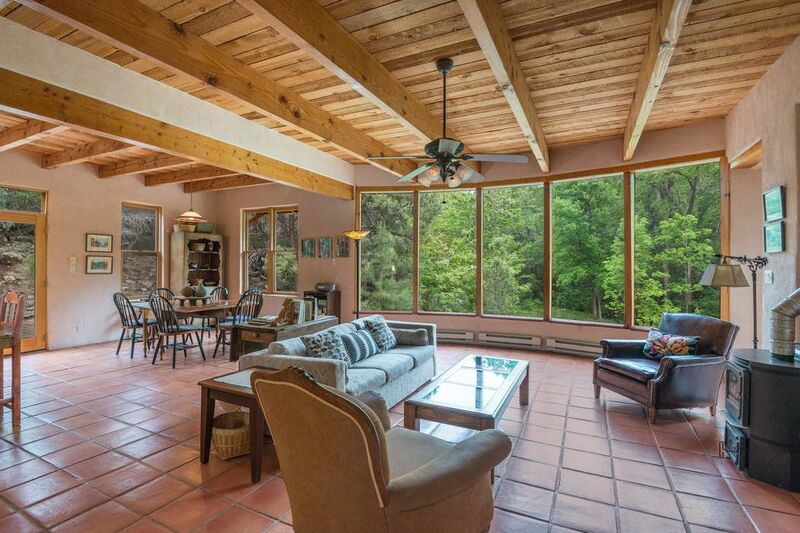 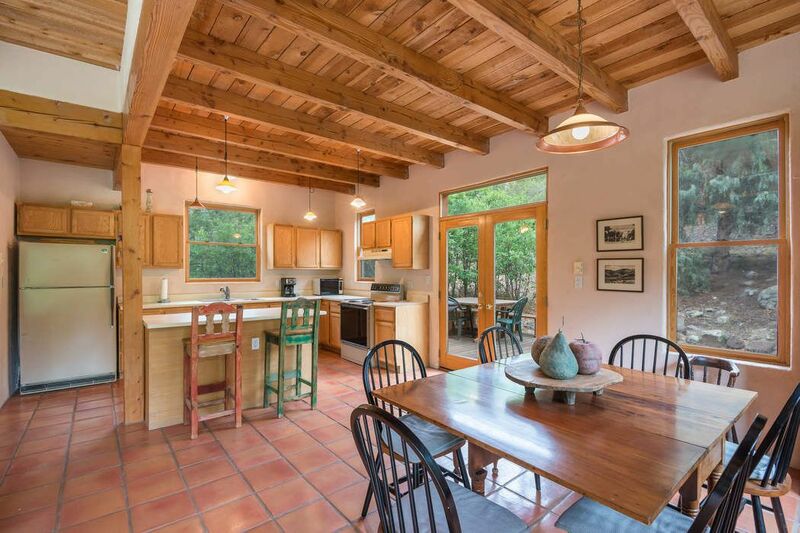 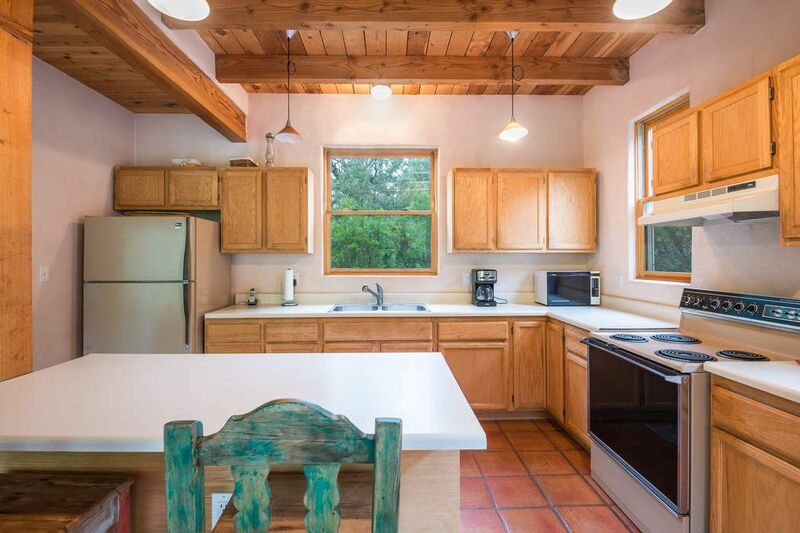 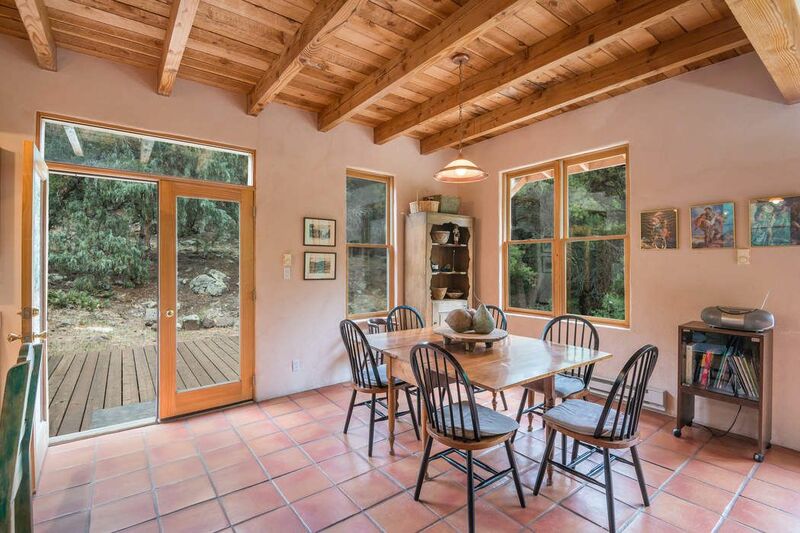 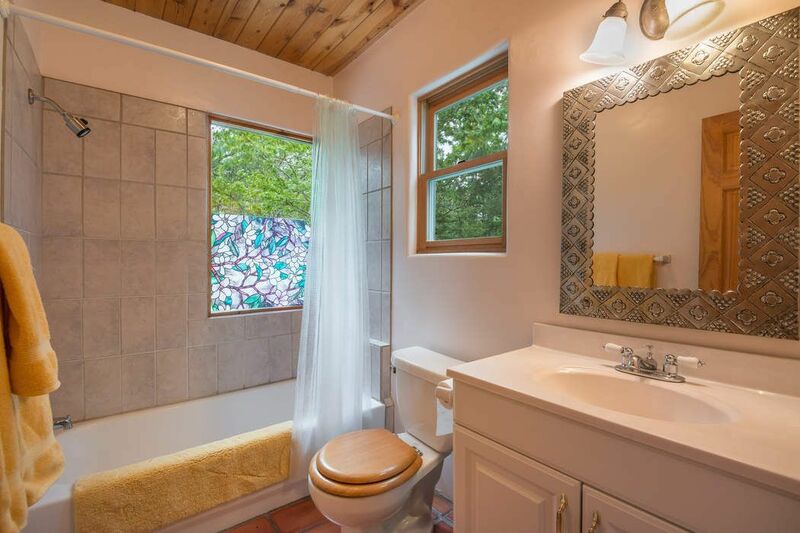 A relic of the ecology of what New Mexico was like when the first Hispanic settlers lived in the Canones Creek Valley, this 3 BDR, 2 BA home, located on 10+ acres, features a large open living and dining area and kitchen, fronted by 12’ windows looking up the canyon to the cliffs beyond. 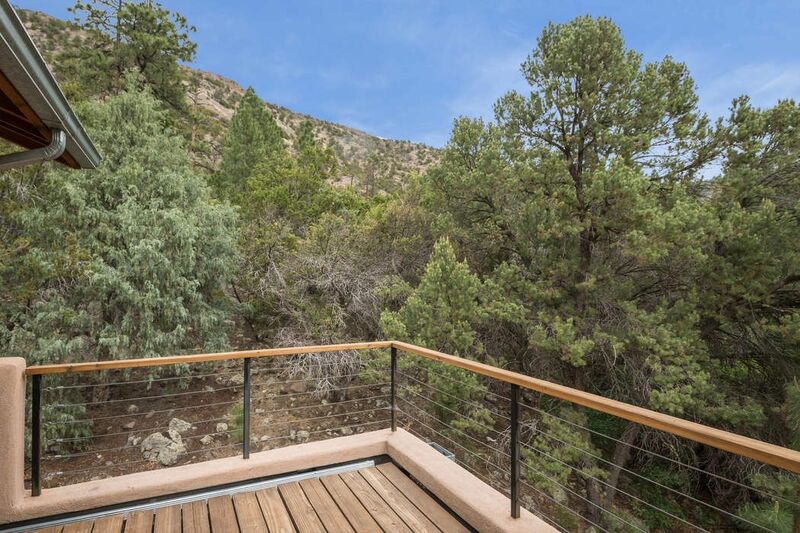 The house has been designed and situated to take full advantage of the views of the surrounding cliffs, with balconies off each of the three bedrooms and an outdoor deck for dining. 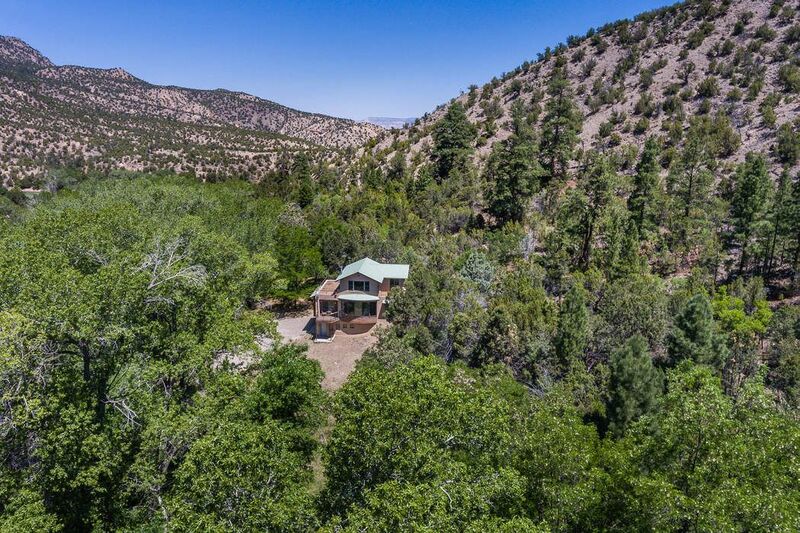 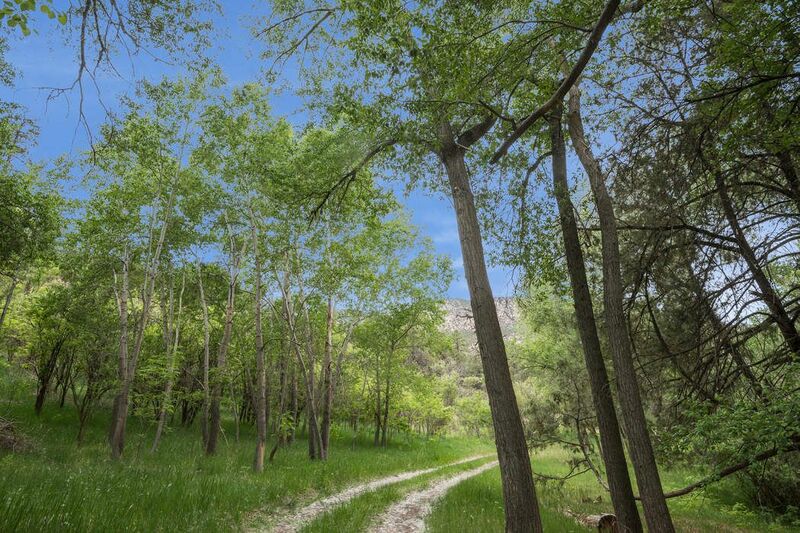 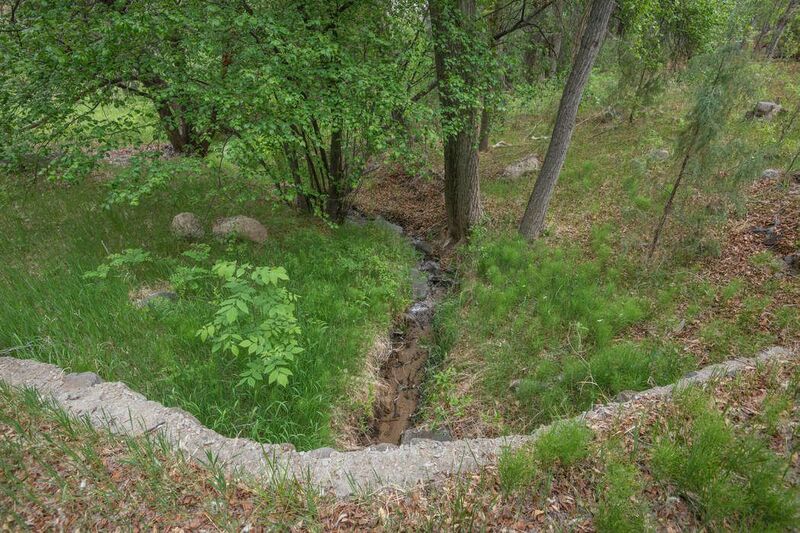 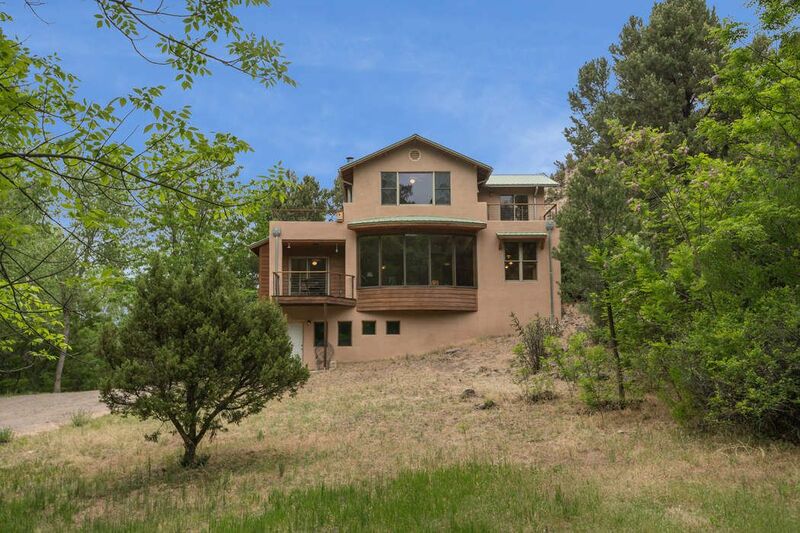 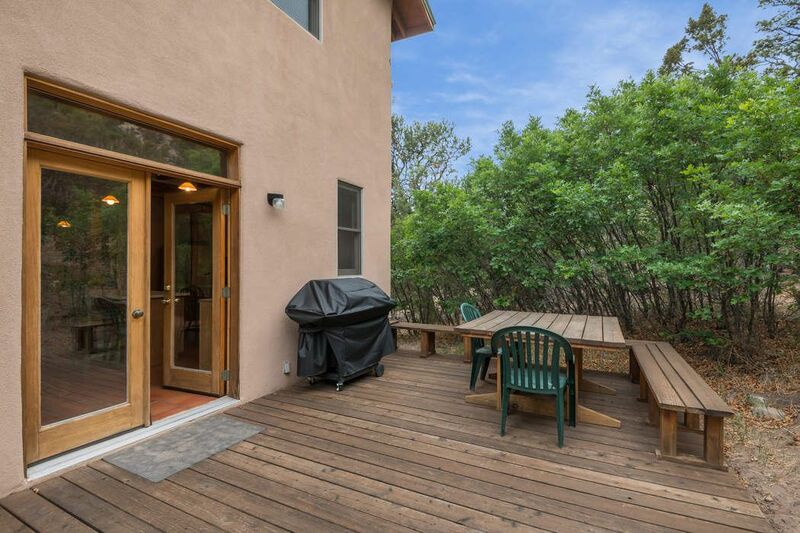 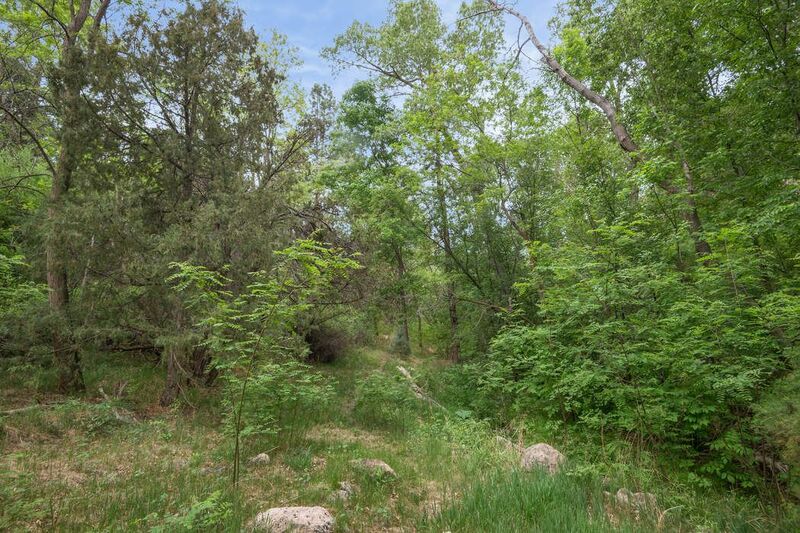 After you enter the gated property, you will pass through cottonwoods, wild meadows, a pinon/juniper woodland, on up to ponderosa pines and the aspens. 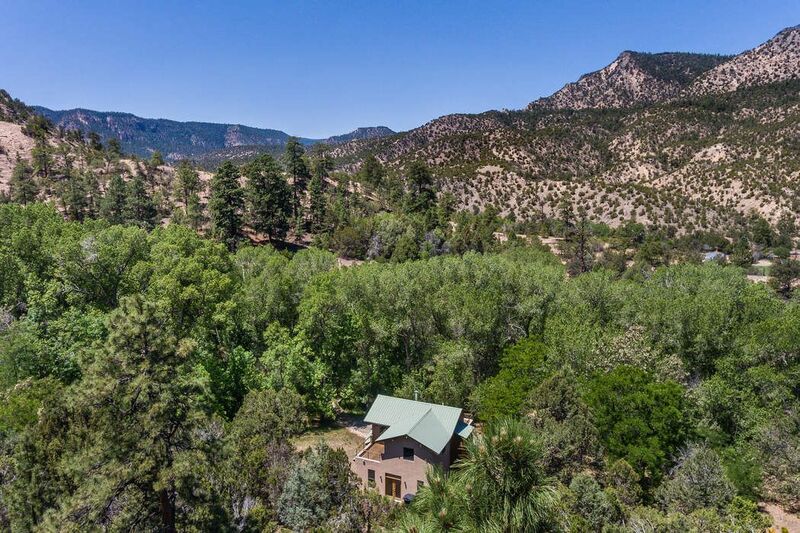 Enjoy fishing in the creek that runs through the property or in the nearby Chama River, watch the wildlife ambling through the property, explore the 25 miles of hiking trails surrounding the property or visit the ruins of Tsiping Pueblo which is on the cliffs above the property. 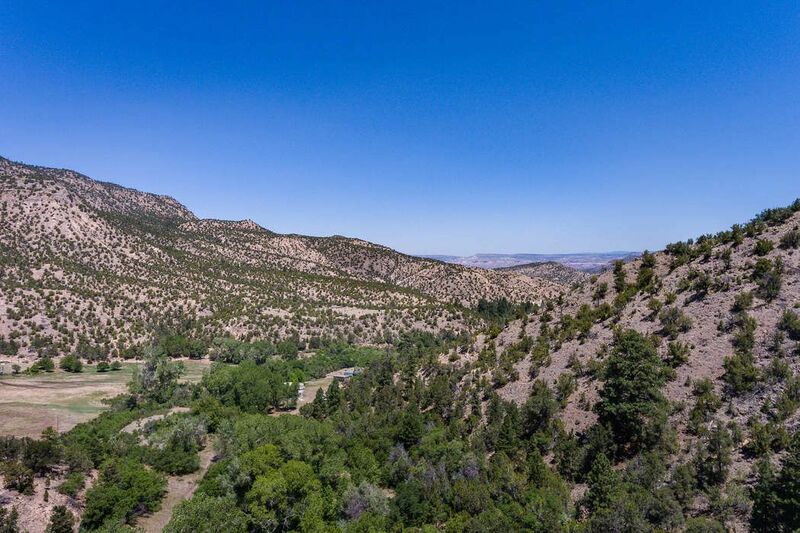 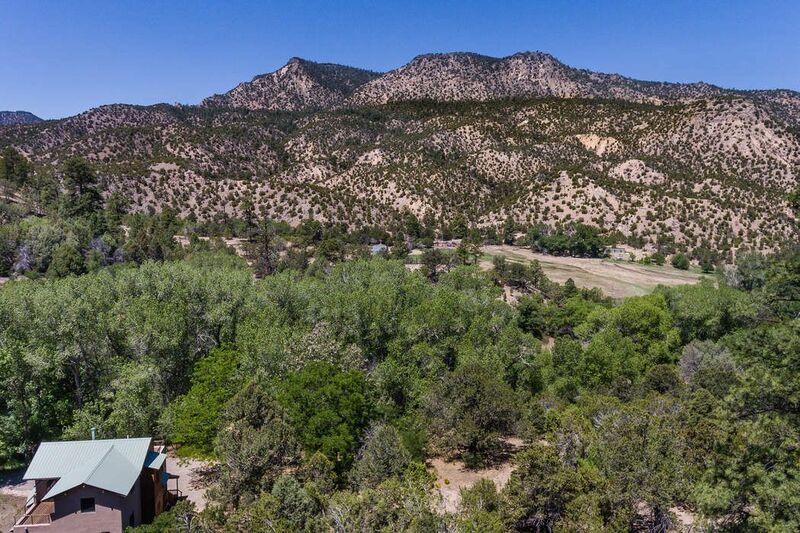 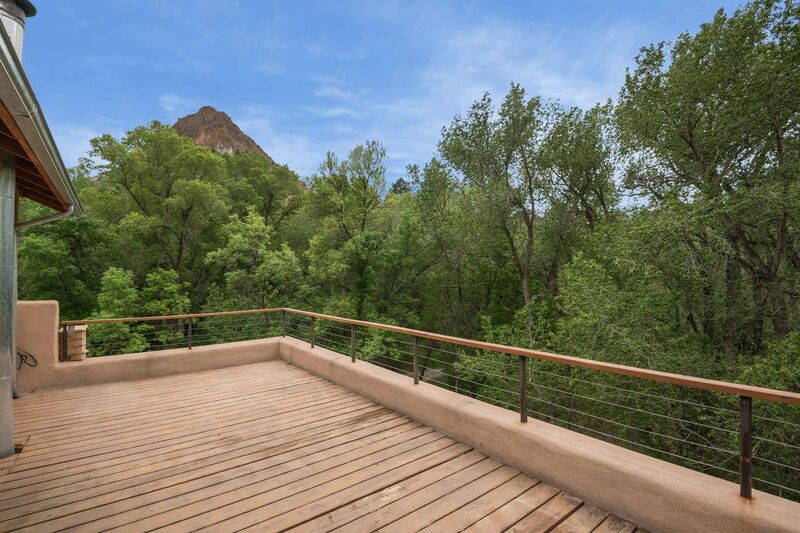 A mile from the traditional village of Canones and 20-30 minutes to the Chama River, Abiquiu Dam, Ghost Ranch and the historic village of Abiquiu and Georgia O’Keefe’s home, this property offers both peace and tranquility and plenty of opportunities to enjoy nature at its finest.